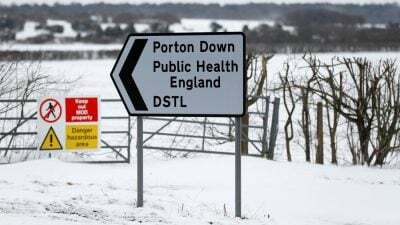 Tests using nerve agents VX and VM on guinea pigs were carried out at Porton Down in 2015. The project was funded by the UK Ministry of Defence. Interestingly, guinea pigs were also found at Sergei Skripal’s home in Salisbury, just a few kilometers away from the secretive chemical and biological military lab. A photo of the Skripals’ pets – a cat and guinea pigs, was posted by his daughter Yulia on Facebook. Dilyana Gaytandzhieva is a Bulgarian investigative journalist and Middle East Correspondent. Over the last two years she has published a series of revealing reports on weapons smuggling.